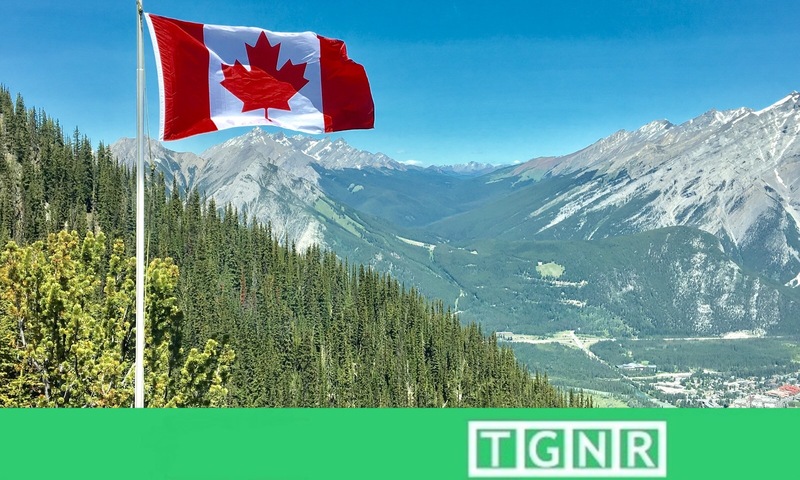 Paul K. DiCostanzo spoke with Canadian political pundit J.J. McCullough about the expansion of his site The Canada Guide – thecanadaguide.com. Recently Paul K. DiCostanzo sat down and spoke with J.J. McCullough. J.J. is a popular Canadian political personality, YouTube vlogger, contributor for the Washington Post’s Global Opinion section, columnist for National Review Online, and a digital Canadian cultural ambassador. Among the myriad endeavors for this Vancouver native, J.J. is the sole creator, contributor and editor for the internet’s ultimate source of Canadian insight online, The Canada Guide. Mr. McCullough has recently finished a successful Kickstarter campaign to completely renovate this popular internet encyclopedia answering questions to all things Canada. J.J. spoke to Paul about this undertaking, and his greater role as a cultural ambassador for Canada to the digital world. TGNR Paul K. DiCostanzo: I’m here with J.J. McCullough of “JJ’s Guide to Canada”. Thank you for joining me. J.J. McCullough: Thanks for having me. TGNR PKD: What year specifically did the Canada Guide begin? J.J.: So, this project began when I was in high school. So it would have been in the early 2000’s. Back when I was starting to talk to a lot to people on the internet, starting to make a lot of internet friends that were mostly Americans, who didn’t really know a lot about Canada. I was kind of keen to help, do what I could do to educate them, or at least do what I could to answer the most commonly asked questions that I got. From there I just started to take the project a bit more seriously. I started adding more and more information to it. I kept learning more about Canada myself in order to expand it. It’s gone through a few renovations since then. I mean the most substantial one was in 2009, which was when I basically revised the site into what it looks like today. Of course now I’m undergoing another major revision in which I’m doing a lot of editing, and redesigning the site. It is what I believe to be the fourth major renovation. So yeah, it’s been a project I’ve been working on for certainly more than a decade. TGNR PKD: We’re going to get back to that in just a moment. Something we were speaking about the other day – what sparks your desire to learn and share so much about you country in this depth and fashion? On a fundamental level, where did this spark come from to ultimately explore your country as you have? Specifically on a level that engages readers on such a vast scope and depth found on the site? J.J.: I mean part of it is just a basic desire to educate other people. I think that a lot of Canadians by nature enjoy explaining Canada to people. I think that is a common cultural trait. I think there is a particular interest in explaining Canada to Americans that a lot of Canadians have interest in doing. One of the best ways to become an expert on a topic is to focus on how you would teach that topic to someone else. So in order to become a good educator, you really have to focus on educating yourself. I just kind of view that as a positive end unto itself. TGNR PKD: Would you consider yourself a cultural ambassador, and if so, why? J.J.: I would like to think so. Another part of the motivation is that I do think that a lot of the conventional explain-ers, so to speak, on Canada are just not very good. I do think a lot of them are very biased. They are often very political, very partisan, very ideological. You know I’m a political, partisan, ideological person like everybody else, but at the same time I understand that conveying realities about Canada through that prism is not always the most helpful approach. It is not always the most useful, and does not always give an accurate picture of the country to people who are genuinely interested in hearing the real deal. They don’t only want to hear one side of the story. So, I guess in the sense that I’ve tried to be a cultural ambassador, I’ve tried to be one that tells the truth about Canada, its imperfections, and its controversies. It portrays an honest picture of a place that’s not perfect, and that is not completely captive to only one side of the political spectrum. Or any of these other conventional narratives about Canada that you tend to hear. So I’m trying hard to portray an image that is accurate, and is deep in a way that I think a lot of other information about Canada is not. TGNR PKD: Now I was going to save this more for the end, but you seem to have crossed this bridge in a way. If there is one thing you could choose to teach people about Canada that they don’t know, what would it be? J.J.: Oh, that’s a very good question! I suppose one thing I like to focus on when I teach other people about Canada is just the nature of the Canadian political system. It is very complicated, very distinctive, idiosyncratic, and cannot be easily generalized. In the sense that I think there is a conventional sort of narrative about Canada. Certainly in America that Canada is just this very liberal country; that it’s very left wing in contrast to America. It has a lot of policies that are a lot more to the left. And that is true to a degree, but it’s always very important to understand why that is so, and the roots of that are more complicated than Canadians being disposed to one political opinion more than the other. It has to do with how Canada’s parliamentary system works, and the way in which there are fewer checks and balances in Canada than there are in America. Canada is much more dominated by a strong leader; by the Prime Minister. The federal government is much more dominant vis-a-vis the provincial governments than the American federal government is vis-a-vis the state’s. So there is a lot of complex power dynamics that go on in dictating how Canadian policy is crafted. And I mean, this is before we go into even more complicated things like the fact that Canada has the existence of a bilingual sort of ruling elite and the different ways that manifests. So it is a complicated country whose governed in a complicated way. I think that is often lost in conventional telling. TGNR PKD: Now regarding the project itself from a purely technological, digital standpoint: Specifically, how are you planning to upgrade the site? J.J.: Well, I’ve raised a lot of money on Kickstarter for the redesign. Most of that money is going to hire a professional web designer, and you know the design is pretty much done. I’m now in the process of migrating the content. But the new look I want has a lot more photos, which are a lot larger. It has a lot more info-graphics, and visual display of information. It is just a much more visually appealing site than it used be, which I think is important. When you’re learning about a new topic such as a new country, and the complexities therein like how the governance system works or things like that can be quite intimidating. I think it’s important that it has an attractive, accessible face. So that was really my first priority. That’s really what I think is going to be the biggest difference between how it is now, versus how it will be in a few months when I release the new version. TGNR PKD: On a content level, how do you wish to expand? J.J.: Well, I am certainly re writing a lot of it. I am re writing a lot of passages of it. Ultimately getting more information to make it more accurate. The fact is my own knowledge of Canada has improved since the last major redesign. There are some passages that are not entirely accurate, or perhaps somewhat lacking insight that I now have. So, the writing quality will be better, and the education quality should improve. There’s a really cool new feature that I am quite excited about – the history of Canadian elections. We will really have a breakdown of every Canadian election. You know, maps with political parties and where they won their seats, with all 44 elections that we’ve had. That’s been done in a very visually attractive ways, in a way that really has not yet been done. There will be an election map or breakdown of elections that is as comprehensive as anywhere elsewhere available. I am most excited with that because its the most indisputably groundbreaking thing that will be introduced to the world. TGNR PKD: You have said that most of the people that visit your site are Americans. You have also spoken about how Canada and the United States are incredibly similar on the whole. That being said, what do you believe are the most important similarities between the two nations? As well as the biggest differences? J.J.: That’s a very good question, and that’s a very deep question that has consumed Canadians since the two countries existed. I think the most important similarities, for all intents and purposes, is we share a culture. We speak English, and thus we consume English speaking media. We watch the same movies, we listen to the same music, play the same video games, read the same books, and all the ways that those sort of things impact Canadian and American culture are influenced in a similar way, and we have the same tastes. You know, things like what is funny, what is gross, what is beautiful, what is ugly, what is scary. All of these cultural beliefs are pretty much the same. A Canadian can move to America, or an American can move to Canada, and you don’t feel as if you’re in a foreign place. That is very underestimated, because there are very few countries where you can go between the two of them with as little difficulty as Canadians and Americans do. The biggest difference I think are entirely political. Almost entirely structurally political. The different ways Canada has organized its elections, or has organized its constitution than America has. That is really the root of the difference, which is to say they’re almost entirely political or entirely legal with the different ways the government has been organized. It makes it so different laws that can be passed, and their effects on the society. There are people who try to argue it the other way, and say cultural differences percolate up to the government. I disagree with that argument. I think the differences peculate downwards, and the effect does not come from the bottom up. TGNR PKD: Now, you’re a noted YouTube vlogger, one that I have found very poignant and funny. You’re also using it as a platform for cultural exchange. That being said, why have you chosen the topics you have? Moreover, you do not sit there simply ranting on the screen. I seem to remember an episode where you explored the Canadian “bag of milk” trend, and then called grocery stores all over Canada to test the so-called trend, and included it in the episode. Why have you chosen these topics and approach, and what has been the feedback from your audience? J.J.: It’s all rooted in this Canadian desire for Canadians to explain Canada to Americans. I think that is a very deep seeded desire that many Canadians possess. It sparks competition in any Canadian whi has some public profile, or any degree of public forum. So, this is rooted in how I see other Canadians trying to explain Canada to Americans. I see the kind of things that they emphasize, or don’t emphasize, and thus I have a desire to push back against that, and correct falsehoods as I see them. One of them you see a lot is when you Google, “how are Americans and Canadians different?” Something that comes up again and again is that Canadians drink their milk in a bag, and Americans don’t! This is a very popular topic on YouTube. As I see in the video, that isn’t actually true! In all of western Canada, nobody drinks their milk out of bags, it is entirely an Ontario phenomenon. With Ontario being the largest province, and with Ontarian’s being – not to put too fine a point on it – somewhat sheltered from the rest of Canada. They tend to overgeneralize their ways to the rest of the country. I like to push back against that and say contrarian things, and portray more nuanced things that are not being covered by other channels. I think its rooted in a Canadian desire to be the one authoritative figure about Canada. Ultimately to be the great explainer in telling Americans what Canada is all about. TGNR PKD: Regarding the response you have received for your work, has there been any really memorable feedback regarding what you do? J.J.: Certainly from the Canada guide website, I have received a lot of feedback from elementary school aged kids in the United States. I remember doing this kind of thing in school too, where you have a project on a foreign country. So today kids go on the internet to learn, and some kids come across my website, and thank me for my work. It’s fun, its easy to use, and so on and so on. That’s always very flattering to me because I see myself in some of those responses. You know I see a desire to learn about foreign countries and stuff. I get emails from teachers that say similar things, and that’s very flattering and encouraging as well. It motivates me to make something that is high quality. I think there is a dearth of high-quality non-fiction writing on the internet as well. I find it to be a massively untapped market. Because its difficult to do quality non-fiction writing. It takes a lot of work, it takes a lot of research. When it does what it aims to do, which is helping to educate people in a way that people regard with credibility, that’s a real reward. TGNR PKD: Now, you’re certainly a public figure J.J., and right now what is the next big thing you want to take on? J.J.: That’s a good question. Once this new revised Canada website is launched, I definitely think I would want to create another major comprehensive website. One that I would spend a lot of time and money on, just like I have with the Canada guide. I don’t know exactly what topic it would be, I have a few ideas kicking around. I think it might be interesting to do another country, I don’t know what country that would be yet. As I don’t have a country that I know as much about as Canada. That might require reaching out to writers, or people who know a lot about said country. I would like to approach it from an editorial role. Or perhaps on some other topic. I have often thought that a topic having to do with science would be really cool. A real in depth look into something in the science field that really needs more in depth understanding, in an accessible and visual way. I am not an expert in scientific realms either, but I can certainly see the need for it. So I think going after my next topic I have to ask, ‘what is the demand?’ ‘What do people want?’ What would be a useful educational resource on the internet that would fly? As opposed to specifically what I would want to do myself. TGNR PKD: You have traveled the United States a lot, as well as being a Canadian cultural ambassador. As we wrap up, what do you believe is one thing you would want your fellow Canadian countryman to know about their American neighbors to the south? J.J.: I think there is a sense in a lot of other countries that Americans are ignorant about the rest of the world. You know, there is some truth to that. I think that it is important to realize there are few people that are more curious than Americans are. I have met people who are more curious about Canada, or more curious about me, and are more determined to correct whatever ignorance may exist through education. I think Canadians should be a bit more forgiving when they come across Americans who don’t know things about Canada. So when an American is ignorant about that, they’re very self-conscious about that, and are eager to improve themselves in that way. So I think to be more patient and more tolerant would be a good thing. There are a lot of things about Canada that Americans don’t know. There is also a lot of things about America that Canadians don’t know. So I think we should be a little less condescending, and a little more open exchanging knowledge and information about our two countries. TGNR PKD: Thank you for chatting with me this morning, J.J.
You can find J.J. on YouTube, Loonie Politics, Twitter, and of course The Canada Guide.